Started in 2001 by Nigel Garvin , when Agnew closed their Mercedes branch in Coleraine. The garage has steadily grown to become one of Northern Ireland’s premier independent Mercedes service and repair garages. Supplying a wide range of new and after market parts. 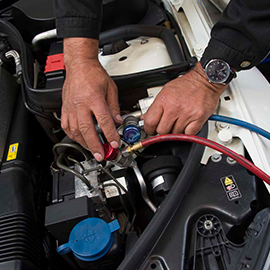 We offer all types of servicing and repairs, on all Mercedes cars. 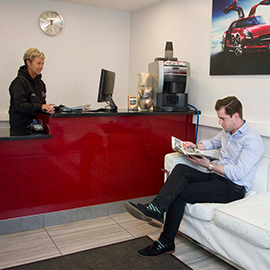 With qualified technicians working in our fully equipped workshop, we pride ourselves on our top levels of customer care and our highly competitive rates. Please feel free to have a browse around our website and if you have any questions or comments then please contact us. A customer representative will be happy to respond to your query. Call Tracey or Harold on 028 70868654 to book your service or repairs. Or Ricky on 028 70343819 to order or identify parts. Need help with your Mercedes-Benz? Get in touch with us and we will be happy to help. Would highly recommend Nitec – good helpful service. Ricky has gone the extra mile for me over the last couple of weeks & it’s been very much appreciated. Very helpful, prompt service, friendly staff. Have no hesitation in recommending this garage, very professional. Happy to strongly recommend Nitec. First class service from friendly staff. Quick diagnosis and fix for M.B E320 Cdi, new EGR valve in stock and injector seal replaced. Reasonable rates, no astronomic labour rates unlike official M.B dealerships. £80 for two hours labour. Refreshing to see hard working young staff training and learning their trade. Had my car in today which needed quite a bit of work, new horn, a/c compressor, re-gassed and lights fixing, the labour I don’t think I would have found more reasonable anywhere else, and the mechanics were knowledgeable. Couldn’t be more pleased. Advised by Hilltop garages contractors for the AA to use this facility to have my Mercedes A 160 car checked out since there was a problem with the ignition and car would not start. I didn’t know that the garage existed. Excellent staff, right attitude, car not booked in but they checked it out and resolved the problem even though it was evident they were busy. A big thank you and so grateful for the excellent work! Copyright © 2019 Nitec Auto Repairs. All Rights Reserved. Web Design Northern Ireland by Redback Creations.